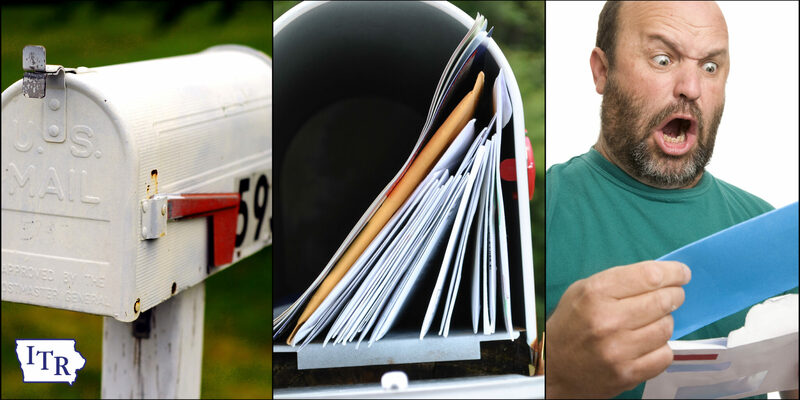 Many Iowans received their new assessment notices in the mail recently. And many of those same Iowans have also read about their cities and counties passing a new budget for the upcoming fiscal year. But what does it all mean to a taxpayer’s bottom line? Iowa provides its citizens with copious amounts of budget and tax information from city and county governments. In fact, there is so much information available on the State of Iowa’s Data Portal and from the Iowa Department of Management, it can be overwhelming. But that data isn’t always useful to the taxpayer. It seemingly still doesn’t give the taxpayer information they can actually digest. For most taxpayers, looking at a budget report would be like being dropped into a college math class. They could figure out the answer, but it would be a long and painful process. But there is a solution. There’s a way to ensure that citizens can easily understand what the budgets passed by their local governments will mean to them. Utah has simplified the process and has one of the most transparent and taxpayer-friendly property tax systems in the country. The first thing Utah’s property tax system does is prevent the automatic property tax increase when assessments go up. Utah’s law requires that when property values rise, property tax rates must fall until additional public hearings are held. This stops local governments from receiving an automatic budget increase just because property values increased. When a taxing entity (city, county, school district) in Utah proposes to increase its property tax revenues above what was budgeted the previous year, their “Truth in Taxation” law mandates that a public notice be issued and public hearings held. Utah’s public notice system requires each local government to state very plainly how their proposed budget will impact a specific property tax bill in their given community. The “Truth in Taxation” hearing process then allows taxing authorities to make their case to the taxpayers to justify the proposed increase and allows citizens to comment on the proposal. Utah’s system ensures that an open conversation occurs between local governments and local citizens; Iowans would benefit from a similar system. As legislators are debating property tax reform, encourage them to make Iowa’s property tax system truly transparent. How Do Iowa's Property Taxes Compare? Not great, that’s how. Iowans pay the 11th-highest effective property tax rates in the country. 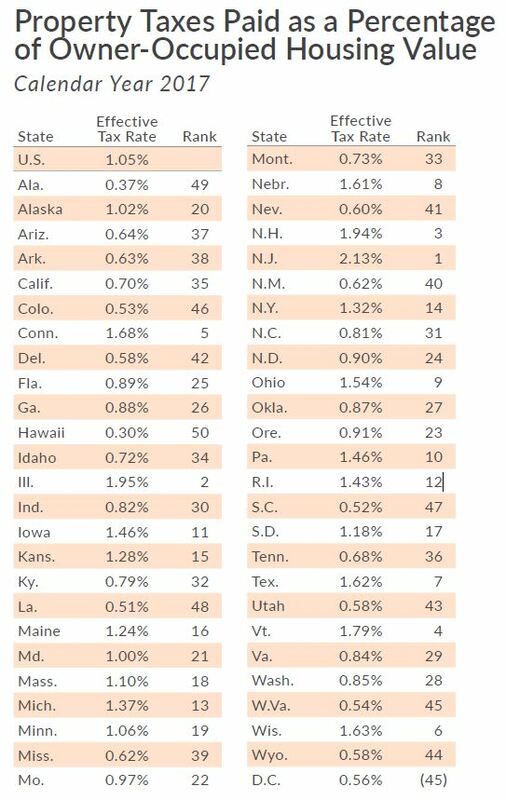 The table below from the Tax Foundation compares the mean effective property tax rates on owner-occupied housing (total real taxes paid/total home value) for all 50 states. The data does not include property taxes paid by businesses, renters, and others. Take a look at Utah: they rank 43rd with the eighth-lowest effective property tax rate. Utah’s property taxes are not low solely because of their “Truth in Taxation” process, but their system of transparency definitely plays a role in keeping rates in check. Occupational licensing exists under the guise of protecting consumer health and safety, but often, it serves instead as an excessive or unnecessary barrier to entry into the workforce. A report from the Institute for Justice on job licensing found that Iowa’s job licensing requirements are the 37th-most burdensome in the country. In the report, the Institute for Justice analyzed 102 lower-income occupations and found that Iowa requires licenses for 71 of those occupations. 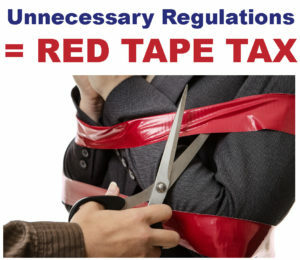 This red tape tax is a regressive barrier to entry that hurts both workers and consumers. Rep. Dave Deyoe (R-Nevada) has championed job licensing reform this legislative session. His bill, HF 752, would require a full evaluation of all of Iowa’s occupational licenses every six years. This legislation passed out of the House Labor Committee with bipartisan support and is scheduled to be debated by the full Iowa House on Monday. Other legislators are taking notice of this legislation, including Rep. Megan Jones (R-Spencer) who authored a guest column on occupational licensing that appeared in the Spencer Daily Reporter last Sunday. These bills would completely eliminate the inheritance tax. The inheritance tax in Iowa can require up to a 15% tax on asset transfer if the recipient of a given asset is not a lineal relation of the benefactor. If a deceased person does not have children or chooses to leave their assets to a non-lineal relation, this can create a scenario where the beneficiary does not have the liquid assets to pay the inheritance tax. This could result in the sale of a small business or family farm. This is not the outcome tax policy should strive to achieve.